Sen. Bernie Sanders with two staffers at Hero's Welcome in North Hero. 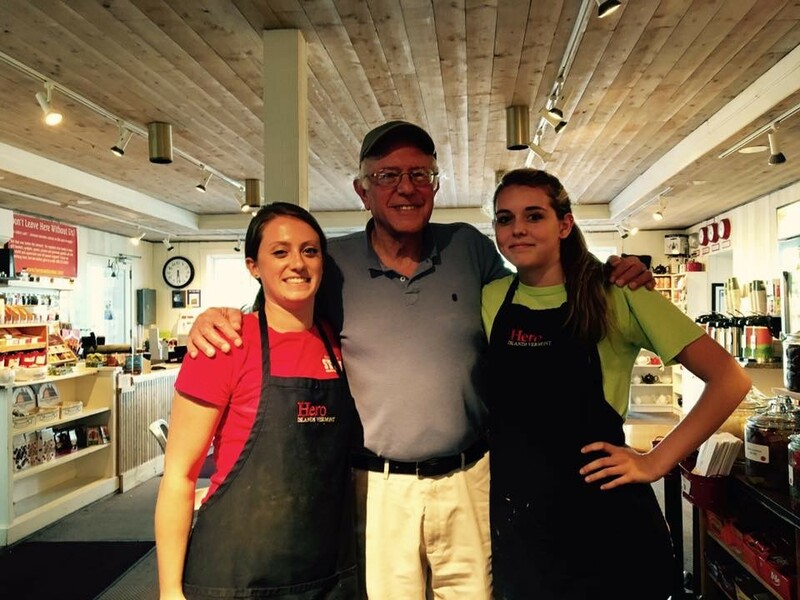 Photo taken on the day Sanders closed on the purchase of his lakefront home. Thanks in large part to his successful foray into authorship, Sen. Bernie Sanders (I-Vt.) made more than $1 million in 2016. That’s according to his latest U.S. Senate financial disclosure, which he filed Sunday after receiving a 20-day extension. The most notable source of income: book royalties. Sanders received a $795,000 advance for his best-selling book, Our Revolution. He got another $63,750 for his forthcoming Bernie Sanders Guide to Political Revolution, a book aimed at young readers coauthored with Kate Waters. And he took in $6,735 in royalties for his 1997 memoir Outsider in the House. That’s more than $865,000 for peddling his working-class ideas. Not bad. Then there's the $2,521 Sanders earned last year in royalties for his 1987 spoken-word folk album, We Shall Overcome. Senate rules do not require members to report their government salaries on their annual disclosures, but all rank-and-file members earn $174,000 a year. That, combined with the more than $878,000 Sanders reported in his filing, puts the democratic socialist's 2016 payday at roughly $1,052,000. In addition to his take-home pay, publisher St. Martin’s Press paid all expenses on Sanders' national book tour last November and December, which took him to 12 states and the District of Columbia. Disclosure of the total was not required, and Sanders did not provide it. Then there’s a batch of retirement mutual funds held in the name of his wife, Jane O’Meara Sanders. The Senate only requires disclosure within broad dollar ranges — for instance, $15,001 to $50,000. So it’s impossible to ascertain the exact value of the retirement funds, but they are worth somewhere between $192,000 and $815,000. In the “liabilities” category, Sanders lists two mortgages: one worth between $250,001 and $500,000, the other worth between $100,001 and $250,000. Because the Senate’s disclosure standards are comfortably loose, we know much less about our junior senator’s finances than we would if he, say, released his tax returns.